Pharmacy technicians are allied health professionals who perform various duties related to the preparation and dispensation of drugs under the direct supervision of a registered pharmacist. Training programs, approved by North Carolina’s Board of Pharmacy, teach students how to interpret a physician’s prescription, fill orders for pharmacists’ review, and deliver the final order to the customer. They also learn how to prepare admixtures of intravenous solutions, process insurance forms, maintain patient profiles, replenish drugs and perform clerical duties. As community and hospital pharmacies in North Carolina expand their services to meet increasing public demands, there will be a greater need for the competent technical support that only a pharmacy technician can deliver. Certified pharmacy technicians have the skills and abilities to meet this need and will realize excellent employment opportunities in hospitals, nursing homes, retail drugstores, research labs and home health care agencies. In order to work as a pharmacy technician in North Carolina, the law requires individuals to register with the Board of Pharmacy. The requirement for registration excludes students enrolled in technician training programs who spend time at designated pharmacies as part of their education program. Therefore, the rule applies only to students who are present in the pharmacy for educational purposes only – students must be enrolled in a Board-approved program. The students, when present, do not count towards the pharmacist: technician ration. The Board could deny an application for registration from students who violate pharmacy laws while working as a technician. A copy of their high school diploma or equivalent. Those currently attending high school can also apply. Evidence of employment at a state-licensed pharmacy. Evidence of completion of a Board-approved pharmacy technician training program. Board approved programs are those accredited by the ASHP. Pharmacy technicians who are certified by the PTCB can skip the above requirements and apply for registration. Once registered, pharmacy technicians must abide by the state’s pharmacy laws and renew their registration annually to comply with the Board’s requirements. Pharmacists and employers should verify a prospective employee’s status with the registry before extending an offer of employment. Individuals 18 years and older can register as a pharmacy technician in North Carolina. Pharmacy technician must provide evidence of high school completion as a requirement for registration. Individuals enrolled in high school or similar program must provide an official letter confirming their current status. A criminal background check is not a mandatory step in the registration process. However, applicants should have a good moral character, free from criminal convictions and drug and alcohol abuse. Applicants with convictions or disciplinary actions should provide supporting documents and a written statement to the Board. While the Board does not conduct background checks by default, pharmacy technicians applying for PTCB certification will need to pass a criminal background check. Accredited pharmacy technician training programs prepare students to function as pharmacy technicians under the supervision of licensed pharmacists. Pharmacy technicians are an integral member of the pharmacy staff. A competent technician, trained in all aspects of the pharmacy, will give pharmacists the freedom to focus on the critical aspects of pharmacy administration and customer care. Through a combination of didactic, laboratory practice and clinical experiences, students develop a knowledge of their roles and responsibilities and understand the importance of safe and efficient delivery of pharmacy products. Classroom topics cover areas, such as microbiology, pharmacy ethics and law, pharmaceutical terminology, dosage calculations, names of generic and brand name drugs, and inventory control. Students also learn compounding procedures, drug procurement, and packaging and labeling. A clinical component of most programs takes place at a community or hospital pharmacy where students work under the supervision of a licensed pharmacist. The externship is crucial to students’ eventual success on the job as it gives them the opportunity to apply their classroom learning in a real-world setting. Pharmacy employers also get the opportunity to evaluate students’ skills before hiring them to work in the pharmacy. There are twelve ASHP accredited training programs in North Carolina, and many accredited by other recognized agencies. Colleges, universities, and vocational schools may have stringent enrollment policies, which might require students to possess a high school diploma, get immunized and pass a criminal background check. Graduates will be eligible for state registration and can also take the PTCB exam with confidence. North Carolina residents pay an average of $4,600 for pharmacy technician diploma programs at the state’s colleges and universities. Shorter certificate programs are also available at community Colleges, such as Rowan-Cabarrus Community College, where tuition is approximately $300. Shorter certificate programs may not fulfill the Board’s requirements for training. 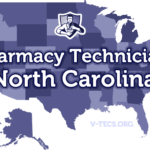 However, you can use the program to prepare for the national certification exam to qualify for registration as a North Carolina pharmacy technician. Apart from tuition, students should budget for other expenses such as textbooks, workbooks, course materials, uniform, background check, drug screen, TB test and immunization. Financial aid may be available for qualifying students. Employer-sponsored programs may be an option for a few individuals as pharmacy supervisors train new employees. However, as pharmacists face increasing responsibilities, training new employees may not be an option. This lack of time and resources is one reason so many pharmacy employers hire trained and certified individuals. The duration of pharmacy technician training programs depends on the schedule, contact hours, and course content. Students can complete training is as little as 4 weeks or as long as 12 months. The North Carolina Board of Pharmacy recognizes the PTCB certification only. While certification is not mandatory for registration, it gives pharmacy technicians a distinct advantage over non-certified technicians. The PTCB evaluates individuals work readiness, testing their knowledge of pharmacy laws, procedures and public safety. The agency has over 555,700 certified pharmacy technicians who provide safe and effective services at pharmacies across the nation. Applicants for registration must have a high school diploma or equivalent (or foreign equivalent) and no felony convictions. They must also agree to the Board’s policies before taking the exam. Once the applicant submits the request for examination online and pays the $129 fee, the Board will review the application and notify the candidate once approved. The applicant can then schedule a test date that’s mot convenient at any Pearson Vue testing center in North Carolina. After completing the two-hour exam, successful candidates can use the CPhT designation, which is valid for two years. In order to maintain the certification, CPhTs must complete the continuing education requirements and submit $40 with a request for renewal. Pharmacy technicians must register with the Board within 30 days of beginning employment at a licensed pharmacy. North Carolina’s pharmacy technicians can pursue certification by choice since it’s not a requirement for registration. The Board recognizes PTCB certification and allows Certified Pharmacy Technicians to bypass the basic requirements for registration. Applicants for registration must be at least 18 years old. West Virginia’s Board of Pharmacy no longer accepts checks. Applicants must use the online portal to submit the application for registration and pay using a Visa, MasterCard, or DiscoverCard. Answer all questions, making sure to provide accurate information. Upload a 2 x 2 digital photo. Submit the application and pay the $30 non-refundable application fee. Mail any supporting documents to the address provided below. The Board requires 2 to 4 weeks to process the application. 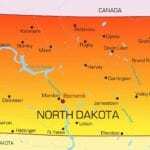 Criminal convictions and disciplinary actions could delay the process. After the initial registration, pharmacy technicians must renew their licenses yearly. The renewal period begins on November 1 and ends December 31 every year. Pharmacy technicians who do not renew by December 31 will have a grace period of 60 days to renew their licenses – the grace period extends to March 1 of the following year. In addition to the grace period, the Board allows another 30 days wherein technicians can renew after paying a penalty. Those renewing later than this period must apply to reinstate the license. Pharmacy technicians must use the online renewal form since the Board will not accept paper submissions. Following are the steps for renewal. Use the Technician Login to log into your account using your license number and pin. Submit the renewal form and pay the $30 fee using your Visa, MasterCard or DiscoverCard. Change your name/address if they need changing. Print your receipt and updated certificate. 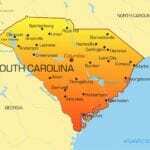 North Carolina’s Board of Pharmacy does not practice reciprocity with other states. Pharmacy technicians who are registered in another state must use the new registration online form to submit a request to the Board.